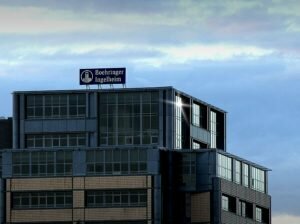 German pharma company Boehringer Ingelheim said that Cyltezo, a biosimilar to AbbVie psoriasis drug Humira, achieved clinical equivalence to the reference product in a phase 3 trial in patients with moderate-to-severe chronic plaque psoriasis. Cyltezo succeeded in the NCT 02850965 phase 3 trial by not showing any clinically meaningful differences in efficacy, safety and immunogenicity compared to AbbVie psoriasis drug Humira. Humira (Adalimumab), which is owned by AbbVie, apart from chronic psoriasis, is also approved for rheumatoid arthritis, psoriatic arthritis, ankylosing spondylitis, Crohn’s disease, ulcerative colitis, hidradenitis suppurativa, and juvenile idiopathic arthritis in various countries. The NCT 02850965 trial for Cyltezo enrolled 318 patients aged between 18 and 78 years with moderate-to-severe chronic plaque psoriasis, who did not get any treatment with one or more drugs for their condition. The plaque psoriasis patients were randomly grouped to be subjected to either Cyltezo or Humira at 80mg on day 1, 40mg on day 7 followed by 40mg once every other week. Boehringer Ingelheim said that the primary endpoint of the NCT 02850965 3 trial was met, which measured the proportion of patients registering a reduction of 75% in PASI (Psoriasis Area and Severity Index) at week 16. Kay Tetzlaff, Vice President and Medical Head of Therapeutic Area Biosimilars at Boehringer Ingelheim, commenting on the phase 3 results of Cyltezo in chronic plaque psoriasis, said: “This phase III study builds on recent evidence that demonstrates Cyltezo is equivalent to Humira for the treatment of moderately-to-severely active rheumatoid arthritis. Boehringer Ingelheim said that the NCT 02850965 3 trial data consolidates the strong existing analytical, pharmacological, non-clinical similarity data of Cyltezo compared to the AbbVie psoriasis drug Humira and also the clinically similar data for rheumatoid arthritis, which were used to support the approval of the biosimilar by the US Food and Drug Administration (FDA).